First generation immigrants, Angelino and Giovanna Primavera came over from Italy with a single suitcase in the early 60’s. By working 80 hour weeks as department store tailors, Mr and Mrs Primavera were soon able to bring over the rest of their families. With them, came the tradition of Avelino, their small mountain town. At 14 years old, Davide and Gianni started as a busboy and cook, respectively. One in the front of the house, and the other in the back. Food had always been a part of their family and their tradition. They felt more comfortable behind a saucepan, or a peppermill, than they ever did anywhere else. Even throughout their teenage years, when most of their friends spent summers down the shore, the Primavera brothers were working. From the very first day of business, Davide and Gianni knew that the food was first. If they got that right, and kept it right, everything else would fall into place. So when, in 1993, the restaurant where they worked went up for sale, the Primavera brothers mustered every ounce of gumption and reckless youth they could, and bought Macaroni’s. When they were just starting, Macaroni's was still a 9 table shack. Davide and Gianni knew that food needed to make an impression, because the place sure didn’t. So they rolled up their sleeves, and got down to it. It was double the work they’d ever done on the busiest day in their lives before, matched with the nerves of being personally responsible for every dish that made it to one of their precious few tables. Before long, it started to pay off. Though the place wasn’t in the most noticeable location in the neighborhood, they started to build a regular clientele. The kind of folks who appreciated what the Primavera brothers were doing with recipes they’d spent their whole lives loving. That core group grew, until Marconi's regularly had a two hour wait, six nights a week. 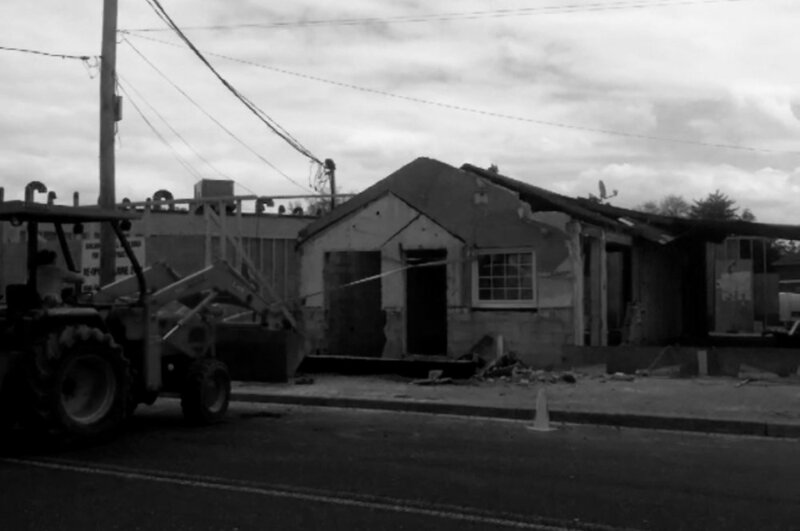 In 2011, Davide and Gianni took another leap, just like they did when they were 19, and they demolished their restaurant. The thing that had been their livelihood since they were teenagers was suddenly gone. Over the next 6 months they built something beautiful in it’s place. The new Macaroni’s was now a 120 seat establishment. Everything was new, except the staff. The same small, tight knit group kept Macaroni’s feeling familiar. The same staff that was hired with Macaroni’s founding value in mind, that delicious, good quality food is always the most important thing. Over the next few years Macaroni’s built up quite a name for itself as a place for high end cuisine. The kind of place you might celebrate a graduation, or a wedding anniversary. But Davide and Gianni were committed to the idea that people should be able to enjoy quality cuisine all the time. They brought this desire to Gianni’s wife Gosia, who designed them a versatile outdoor-indoor space they called P SQUARE. P SQUARE was built on the principle that it doesn’t have to be a special occasion to enjoy great quality food. Each side of the square represents a different kind of dining experience, whether it be quiet drinks in the cocktail lounge, a boisterous meal in the shared dining area, or just a beer and an appetizer while the Flyers game is on. P SQUARE takes everything that is right with Macaroni’s, and looks at it from a slightly different angle. Since the day they bought the place as wide eyed 19 year olds, Davide and Gianni have brought the same philosophy to every decision they’ve ever made as the owners of Macaroni’s for the past two and a half decades. Make improvements slowly but surely, hire people just as passionate as you, and if the food is first everything else will fall into place.